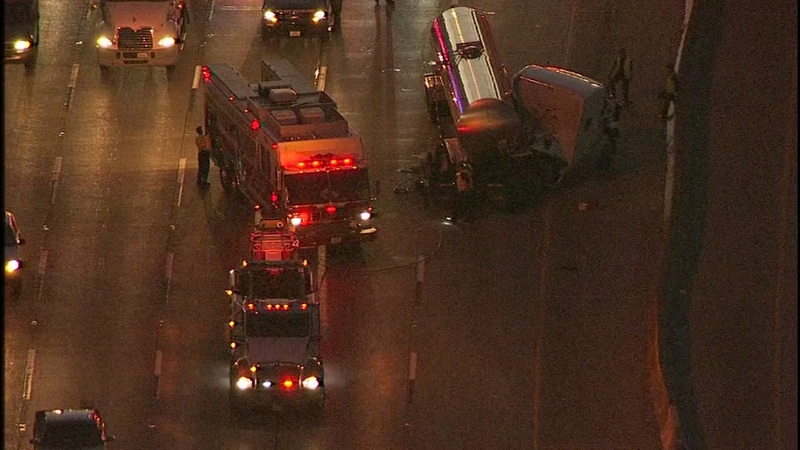 HOUSTON (KTRK) -- A jackknifed 18-wheeler has traffic backed up on the westbound lanes of the Baytown East Freeway at McCarty. Emergency crews are at the scene trying to get the wreck cleaned up. The truck is blocking two left and a center lane. We do not yet know if there are any injuries associated with the accident. Market Street Drive can be used as an alternate, Katherine Whaley says.